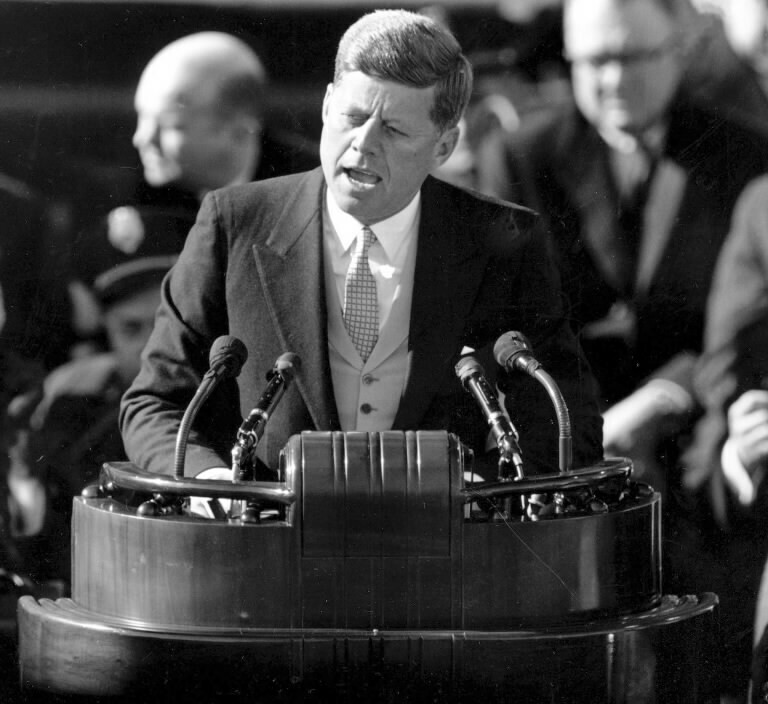 On a sunny, but brisk January afternoon in 1961, 43 year old John F. Kennedy stood on the eastern portico of the United States Capitol in Washington, D.C. The newly elected president had just been sworn into office by Chief Justice Earl Warren. He stood before a nation energized by his youth and entranced by his charisma. Recently I read an interesting little book by the author Thom S. Rainer called I Am a Church Member. The book proposes that much of the decline in Christian churches today can be traced back to a basic misunderstanding of what it means to be a member of a Christian church. Many people today look for churches that will give them what they need or want. For them, being a member of a church is like joining a country club. You pay your dues and then you enjoy the privileges. The church serves you. The choir sings to you. The pastor preaches to you and your needs. If the church isn’t meeting your needs, if the music isn’t inspiring enough for you, if the pastor doesn’t give you what you are looking for, then you look for another church which will. Is that what it means to be a member of a church? When the Bible talks about joining together with other Christians as a church, it usually doesn’t talk about what you get out of it, but rather what you give. The writer to the Hebrews encourages us, “Let us not give up meeting together, as some are in the habit of doing, but let us encourage one another” (Hebrews 10:25). As Christians, we follow the example of our Savior “who did not come to be served, but to serve” (Matthew 20:28). When we truly grasp God’s grace – when we see and appreciate his sacrifice and love and forgiveness – then we will willingly want to serve him and others with thankful hearts. My fellow Christians: ask not what your church can do for you – ask what you can do for your church. We don’t go to church just to get, but also to give – to serve our Savior God and others out of love and thanks for all that God has given us. Being a member of a church means more than just parking your posterior in the pew on Sunday. Don’t just go to church. Be the church. Participate. Serve. Give. And the amazing thing is, as you do, you too will be blessed. There is no “I” in team, but there is a “u” in church. As you serve God and others in church, as you participate in worship, as you hear God’s Word and receive his Sacraments, you too will be encouraged. You will be strengthened. You will be blessed. As you give, God promises you will also receive. Being a member of a church means serving and being served. Remember that this Sunday as you go to church. I am not here primarily for me. I am here first and foremost to thank my Savior God for all his blessings. I am here to encourage and serve my fellow believers. And the amazing thing is I will be blessed as I do. What does being a member of a church mean to you? Leave a comment below and let us know. Thanks!